The next Annual Meeting of the Historic Aircraft Association will be held on Saturday 27th April 2019, commencing 10:30. 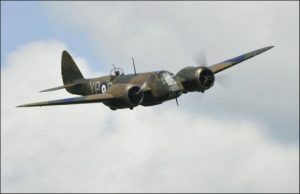 The venue this year will be Duxford, in a shift from our usual home of Old Warden. The change of location is to facilitate the HAA Flying Forum, which follows the formal business of the Annual Meeting, being conducted in concert with BADA and the IWM GA Exhibition and Safety Day. In accordance with the rules of the HAA, notices of motion for the Annual Meeting must be submitted to the Secretary not less than twenty-one days prior to the meeting, or not less than one calendar month in the case of notices of motion proposing a change to the HAA Rules. Nominations for members to serve on the HAA Management Committee would be welcomed and should be submitted to the Secretary as soon as convenient and not less than twenty-one days prior to the meeting. Please let us know (via e-mail to the Secretary at: [email protected]) whether or not you plan to attend the Annual Meeting. A response not later than 27th March is requested. If you are able to attend, please let us know whether you will be driving or flying to Duxford. If you plan to fly in, please make your own arrangements for PPR in the normal way. Please pay careful attention to the Pilots’ Briefing on the IWM website (https://www.iwm.org.uk/media/6316): note especially that there is no dead side to the circuit and that the airfield does not open until 10:00. As Duxford is a secure site, we are required to provide advance notice of the names of our members attending the Annual Meeting: if you fail to notify us of your attendance, it may not be possible to arrange access, so do please let us know if you are coming. If you are unsure, please register for the Annual Meeting anyway, as it is easier to deal with a late cancellation than a late registration. The agenda, together with the annual accounts and details of how to find the meeting room, will be issued in due course. We hope that you can join us for what promises to be an interesting and informative day. Please remember to RSVP by 27th March!